Editor's Biographical Notes- Frank Parlato Jr.
Was it a coincedence that Vivekananda's Mahasamadhi occurred on this date? 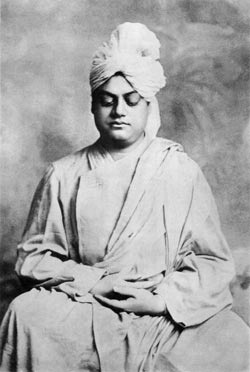 As far as we know this fact has not been discussed in the biographies of Vivekananda: But Swami Vivekananda's death occurred a few hours after the aphelion in 1902 (an aphelion is the point on the orbit of the earth, or any other body in orbit about the sun, that is farthest from the sun; the opposite of a perihelion. It generally occurs each year on different days in the first week of July) . 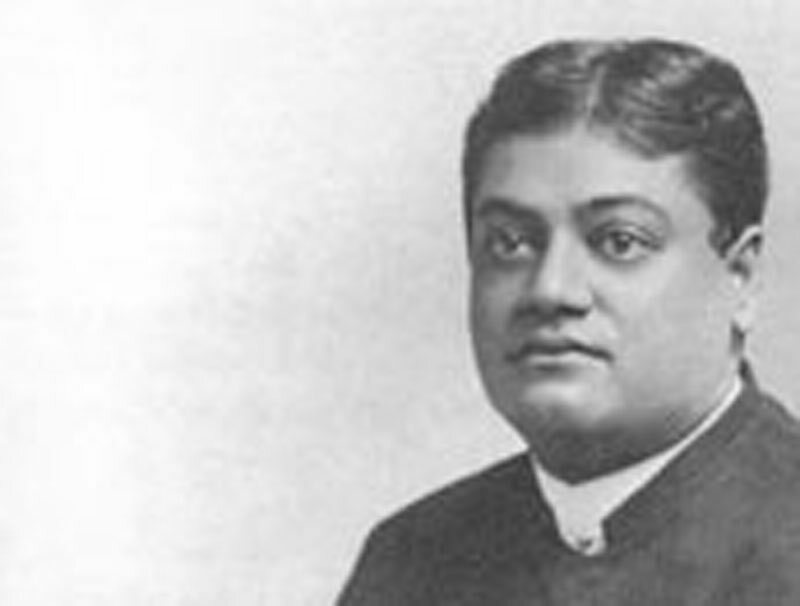 It has been said in his biographies that Vivekananda, some days prior to his death, on July 4, 1902, studied the almanac, to determine what time and date would be best for his Mahasamadhi. Since he died on July 4 1902, some have suggested that he chose this day out of simple homage to America, and consequently, he did not need to study an almanac to learn which day was July 4. However, on July 4, 1902, as it was also in 1776 (USA Independence Day), the earth acheived its aphelion . In 1902, the exact time of the aphelion was (July 4) at 12:59:36.570 Universal Time. (distance 1.016769E+00). The time zone for Calcutta, as we understand it, in 1902, was Calcutta Time, which is 5 hours, 30 minutes, and 21 seconds ahead of UT (GMT) which meant that Aphelion occurred at 6:29:57 or approximately 6:30 PM July 4 1902. The precise time in the evening that Swami Vivekananda passed away is presently uncertain. It could, according to some accounts, possibly have occurred as early as 6:30 PM. According to Swami Nikhilananda's "Vivekananda- a biography" the Swami died at 9:10 PM. and that a doctor pronounced him dead at midnight. If it is true, that Swamiji heard the evening worship bell - and that was rung at 7PM, and, again, after hearing the bell, he went up to his room to meditate and rest- and die --the time between 8 and 9:30 PM seems most likely as the time of his Mahasamadhi. Not unlike the USA's founding father's picking the aphelion as the day of Independence (from England) in 1776, Vivekananda may have chosen July 4, 1902 precisely because it was the aphelion -- showing more than just his affinity with America, but also picking an hour just after the earth had reached its farthest point, and was once again heading nearer to its life supporting center - the sun. If he chose to die 1-3 hours after the aphelion, one might suspect, that in order to determine this, was at least part of the reason he studied the Almanac shortly before his death and why he chose the evening hour to die. It seems that if his death was indeed predetermined by him - then he simply would not die before the moment of the aphelion.